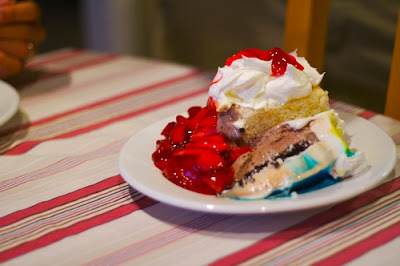 Friday we celebrated my friend Karen's birthday with some dessert at our house. 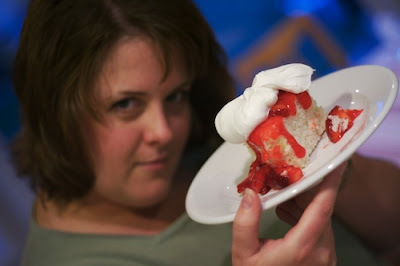 Here's the birthday girl with a piece of homemade angel food cake I made. ...and after. 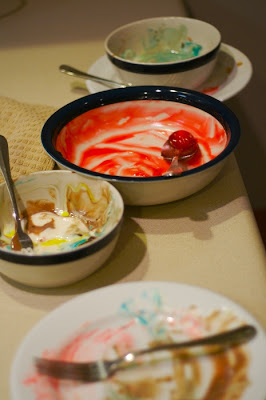 We had to restrain ourselves from licking the bowls clean. We made pigs out of ourselves but had a great time. Happy Birthday Karen! It's going to be a great year for you! !